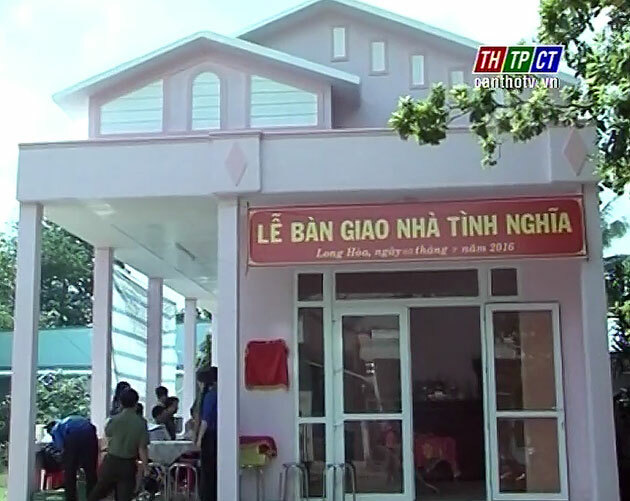 On July 2nd, Cần Thơ city’s Public Security in collaboration with Bình Thuỷ urban district people’s committee handed The Affectionate House to Ms. Đinh Thị Khải, residing in Bình Chánh area, Long Hoà ward. The house covers the area of nearly 120 square meters at the construction cost of VND 150 million, including 70 million raise by Cần Thơ city’s Public Security from socializing source, the remaining contributed by her family. This is the practical activity which shows the gratitude of Cần Thơ city’s Public Security with the aim to materially support and spiritually encourage policy-classified families facing accommodation difficulty and to build nice image of People’s public security.